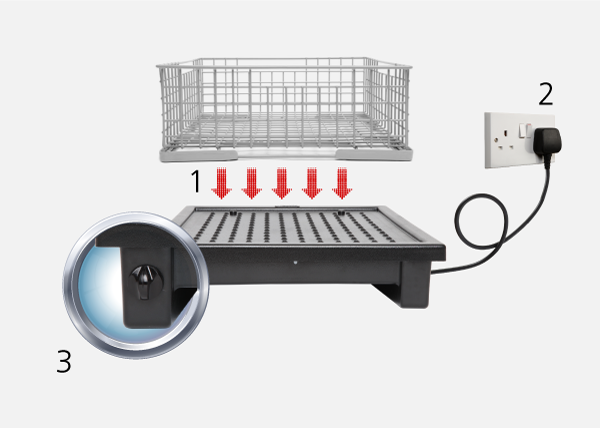 The Airack Lite comes in three different sizes, to suit all glasswasher basket types. 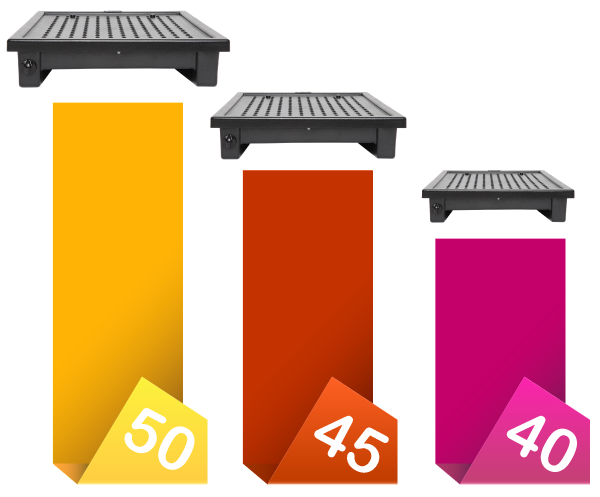 The smallest is the Airack Lite 40 which accommodates a basket up to 40cm sq, then the Airack Lite 45 which takes a basket measuring up to 45cm sq and finally the largest of the three, the Airack Lite 50 which can hold a basket that measures up to 50cm sq. 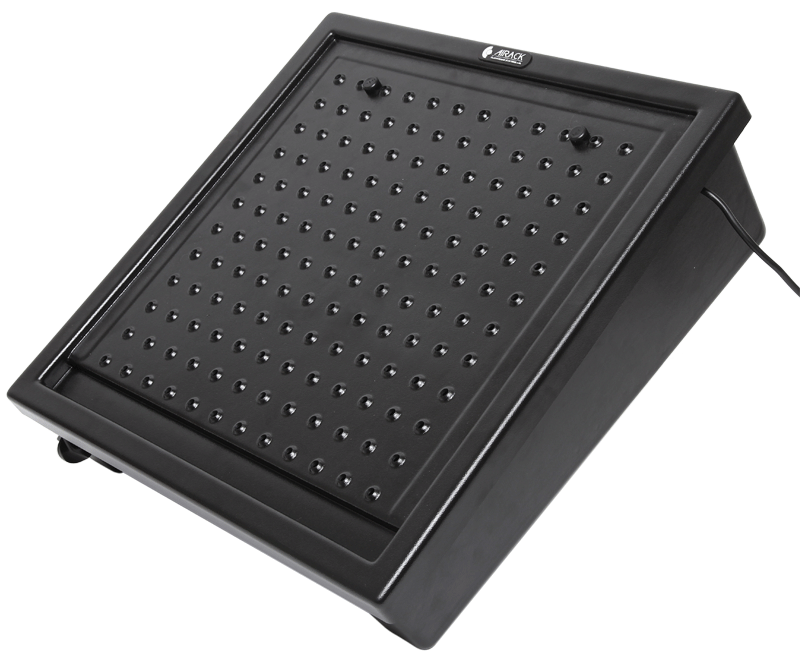 The Airack Lite is simple to install and use. The Airack Lite comes supplied with a 3 pin plug which can go into any 3 pin socket. It's easy to use as it only has one control, the hand turned timer. Remove the glass basket from the glasswasher, place it on top of the Airack Lite and set the timer to your desired drying time...Simple! 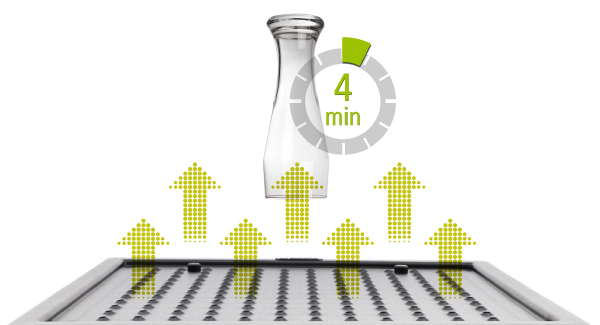 The Airack Lite can accommodate a glass basket measuring up to 50cm sq, which means they can be used with baskets from the smallest to the largest under-counter glasswasher. 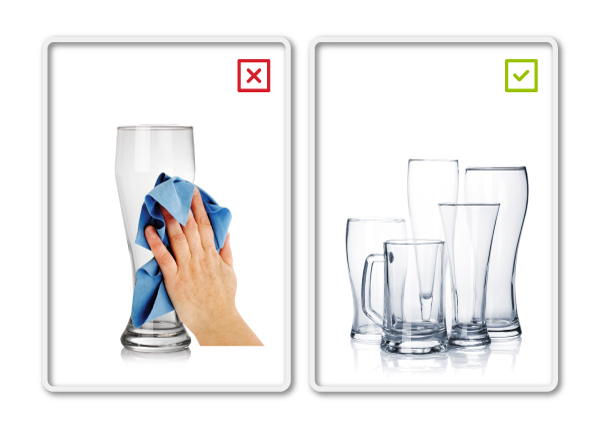 The Airack Lite can dry up to 30 pint glasses in as little as 4 minutes! Do away with tea towels and paper towels and simply place the glass basket onto the Airack glass dryer and let it work its magic. 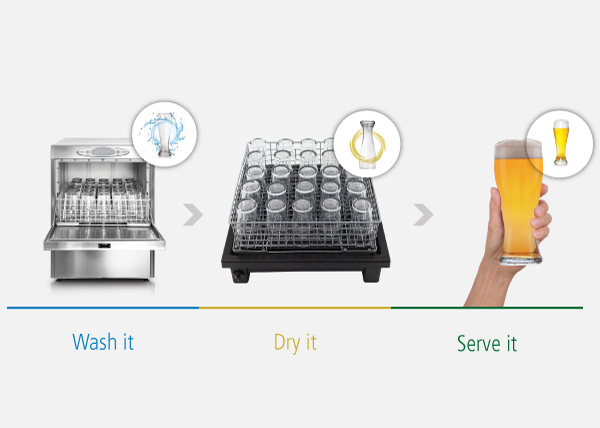 The Airack doesn’t dry the glasses using warm air, the unit simply draws in the air at room temperature or ‘ambient’ and the air action then cools the glasses as they dry, which allows you to use them quickly and pour the perfect pint.